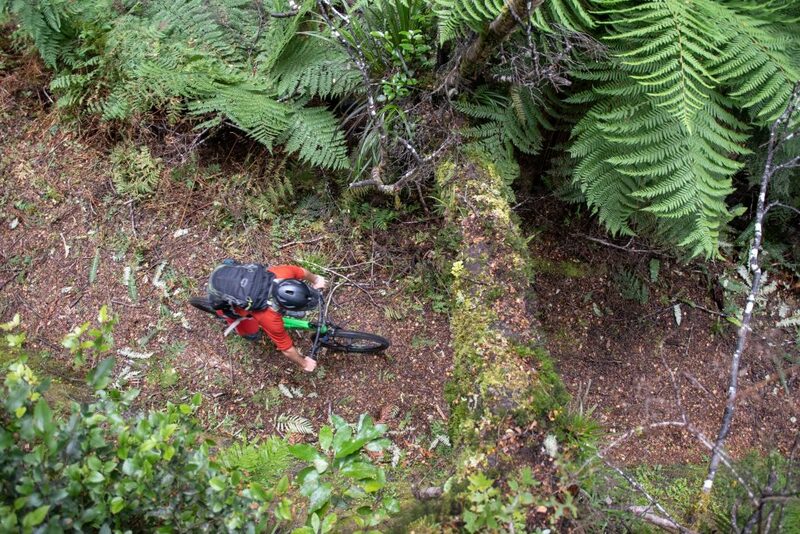 We’ll say anything to extol the virtues of Mountain biking here in New Zealand’s North Island at ANY time of year. 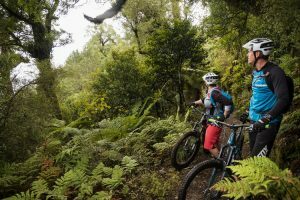 This is self-evident, as we’re clearly biased, but we’re also proponents of saying what we mean, and meaning what we say when it comes to all things mountain biking in New Zealand – especially the North Island. With this in mind, coming up with these 5 reasons to come riding here during our winter was as easy as slipping on a new chamois. “Winter Schminter” be damned! This is the part where we state the bleeding obvious. There’s less people everywhere during the winter, including all our trails. Have it all to yourself, get amongst it and discover that the dirt here holds together through any conditions. We’ll just leave it at that. If this was the only reason in our list, it’d be enough. There’s something immensely satisfying about arriving to a remote comfortable backcountry lodge, covered in dirt, hanging your bike up, stepping inside, being shouted at by the lodge staff to take your muddy riding shoes off first (that’s a fair call in our opinion, but shouted at in a friendly way), freshening up, and sitting in front of a fire with the drink and meal of your choice and lying about your enduro prowess to everyone who is pretending to agree with you. 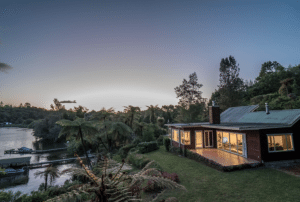 Seriously though, we kiwis do it well (lodges, not lying) and it’s an experience to tick off the list. Uhuh. You read that right. 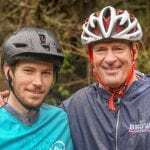 If you think like us here at New Zealand Mountain Biking, you’ll agree that skiing and snowboarding go hand in hand with mountain biking. 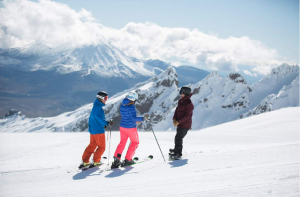 It’s all shredding at the end of the day, and the North Island is shred central in our winter months. 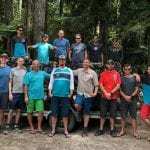 Ride hero dirt on the trails of Rotorua one day, and head south to the central plateau and ski the varied terrain of two world class ski fields on Mount Ruapehu the next. Hell – do it all in one day, it’s easy. We’ve done it. You can ski and ride on the same day here – but not in pink ski pants. It’s simple really. Flights to Auckland, and to Rotorua are cheaper during our winter. We know that old chestnut gets trotted out all the time, and it feels like a cliche to say it, but a cliche is a cliche for a good reason. Is that a cliche? Air New Zealand has direct flights into Auckland from various cities in Sydney, Melbourne, Brisbane, LAX, San Francisco, Houston and Vancouver. 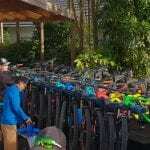 The it’s a super short flight to Rotorua where all your biking dreams will come true. 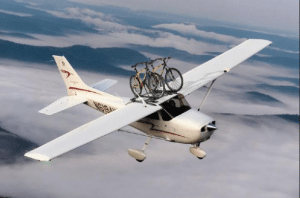 All Air New Zealand flights will allow you to bring a bike free of charge. See our FAQs for more info on getting to New Zealand with or without a bike. Public service announcement: This is not an Air New Zealand plane. Cool bike rack though. Mountain Biking is generally hot sweaty business, and while our winters are mild here in the North Island (below the snow line anyway) it does get chilly. Although, if you’re riding, the winter climate lends itself to being way more comfortable and not smelling like a dog that’s been stuck inside a hot car for the afternoon. And thermal hot pools. There ain’t nuthin like sliding into a natural hot pool and soaking the muscles after a rip through the crisp cool forest. 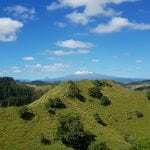 There are opportunities to do this on our 7 day Essential North Island tour. 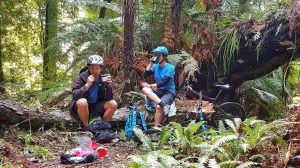 Check out our winter riding options (which is all of them) on our trips page and find out more about riding in the North Island during our winter.